Red Wing Highway Bridge; Horizontal clearance may be reduced to 385 feet while construction is being conducted on the bridge. For additional information, mariners may contact the site supervisor Tom Mohr by phone at (715) 610-4011. 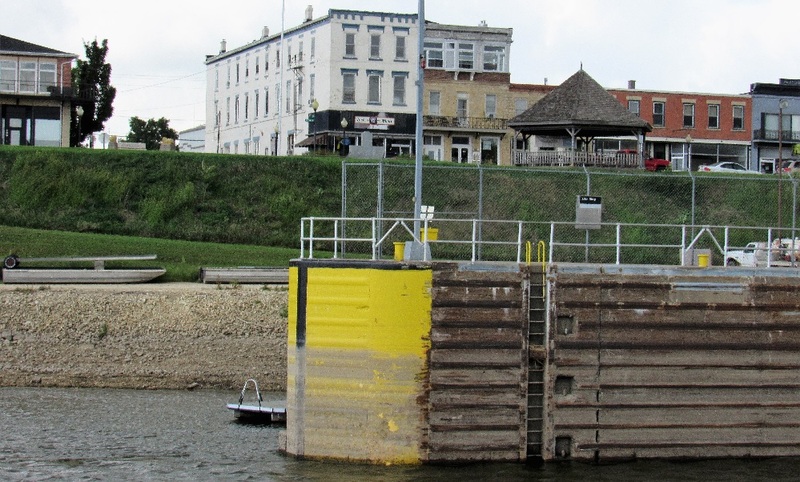 A dock has been constructed just downstream of the La Crosse Railroad Bridge in the vicinity of Mile 699.6, RDB. The dock protrudes dangerously close to the navigation span of the swing bridge. Mariners are urged to exercise caution in the area. A red unlighted buoy previously established in the vicinity of Mile 596.1, LDB, to mark the remains, steel pile and rock pile, of the former Hurricane Island Light, has been removed for the season. Mariners are urged to exercise caution in the area. I-74 Replacement Bridge; The main navigation span may at times be reduced to 500 feet, due to pier construction. All access in and around Sylvan Slough remains open but mariners are requested to transit the construction site with caution. Mariners may contact the M/V CLEVA LEE via VHF-FM Channel 16 or at (920) 450-1357, for more information. Rock Island Railroad & Highway Bridge; The drawbridge will remain in the closed position April 13, 2019, from 9:00 a.m. until 10:30 a.m., for the River Bandits 5K race. Shoaling has been reported in the vicinity of Mile 253.6, RDB. Mariners are urged to exercise caution in the area. See page 14, Sec 311 here.